1. In QuickBooks, fill in the company information (company>my company) including your address, city, state, zip, e-mail, phone, and website. You can then put all that information on your customer and vendor (sales) forms including estimates, invoices, sales receipts, statements, packing slips, and purchase orders. You can also add your logo to those forms and customize which columns, footers, and fields including sales tax and payments or credits are used. 2. Use the QuickBooks chart of accounts sparingly. In the end, your chart of accounts ends up being mapped or assigned to the tax lines of your federal tax form. Take a look at it. Use it as a guideline. You don’t need 10 income accounts (the only time you need more than one is when you are tracking income subject to a specific B&O tax) or 10 expense accounts to track your advertising. Your tax form only has one line item for income and one deduction for advertising, not ten. You can use items if you want detail and then run a sales by item report on them. 3. You can use two-sided items to track both your expenses and income such as goods you buy for your customers and later bill them. All your items need to be mapped to an income account under account. If you charge a customer for an expense and your item is mapped to an expense or Cost of Goods account, you will reduce your income and some states (like Washington) don’t like that as they expect Business and Occupation tax to be paid on the gross income. In Washington State, for that same reason, items you bill to customers are and reimbursed for are subject to the state’s B&O tax. What’s the rule in your state? 4. Change your QuickBooks preferences to make sure that you are set up for using account numbers cash vs. accrual accounting, when sales tax is due, if you use inventory, how reports are displayed, if reminders come up, when the work week begins, and how you handle reimbursements from customers to name a few. 5. Set your backups to occur whenever you exit QuickBooks. You need to be in single user mode (if you are in a network environment) and backups have to be set for complete verification (under options) to make sure that your data has not been corrupted. I recommend saving backups to a destination on your computer and then copying that file once a week or daily to a flash drive, OneDrive, Google, DropBox, etc. Your company data file has to run on a real computer with an operating system and the Database manager. So don’t store your company file on any of these drives. It is the best way to corrupt a file. 6. If you want to charge customers for time and materials, you have to enable them your program. For QuickBooks desktop, go to Preferences and Time and Expenses and mark Time and Expenses as always being billable. You can also choose your Mark Up amounts. Then when you buy something, if you enter a customer’s name on that expense line, you can decide if you want to bill them or track the expense for job costing. The box can be checked on or off. For QuickBooks Online, you have to be using Plus. 7. If you travel or sell extensively in Washington State, you can download the quarterly Washington State Department of Revenue 343 (whew) sales tax rates from http://dor.wa.gov/content/getaformorpublication/formbysubject/forms_quickbooks.aspx. You import them into your desktop company file using File>Utilities>Import. Then you can use them after looking up their address to make sure you charge them the right rate. I use them to track where I am working as most of my clients aren’t subject to sales tax, yet. 8. You can assign those sales tax rates to your customers. If you use the department’s sales tax lookup tool, you can enter their confirmation code in the notes for that customer. There are also apps that will let a third party vendor keep track of your sales tax and file the forms for you. 9. Before hiring a vendor, ask for a filled out W9 form as well as proof that they have their own business license for their city, master business license, business cards, and website. The latter four show that someone actually has their own business. You can attach their W9 to their vendor record and you can enter their Employer Identification Number in their record. I am not going to go into detail about who gets a 1099. 10. You might want to use bank feeds. The main reason is that you make sure that you capture all your recorded transactions accurately. The second reason is that it makes reconciling QuickBooks faster and easier as the information has already been confirmed and matched with the bank. At least once a quarter, I realize that I entered something incorrectly. Don’t do bookkeeping by download as you will miss transactions that haven’t cleared or been entered. 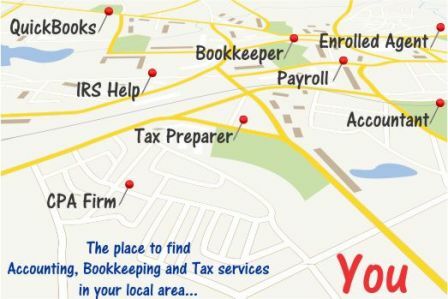 What have you done to make your bookkeeping, accounting, and preparation for taxes easier?